Thorvald Stoltenberg, a former foreign and defense minister and father of NATO Secretary General and former Prime Minister Jens Stoltenberg, died on July 13. The elder Stoltenberg had a long and distinguished career, having served in three Labor governments as Minister of Defense (1979 to ’81) and Minister of Foreign Affairs (1987 to ’89 and 1990 to ’93). He also served as a diplomat for many years, worked as a peace broker in the Balkan region in the 1990s after leaving politics, and was president of the Norwegian Red Cross from 1999 to 2008. He is father to Jens Stoltenberg, who was Norway’s prime minister from 2000 to 2001 and 2005 to 2013 and is the current NATO secretary general. important and highly respected figure in Norwegian politics. “As a politician and diplomat, he sought solutions that could give people and societies the chance to move on after crisis or conflict. That’s why it was so important for him to see everyone and to allow everyone to be heard. That was Thorvald’s method as a diplomat, politician, foreign minister, UN negotiator, and president of the Red Cross,” Støre also wrote. “Rarely have I experienced such a warm feeling of gratitude and happiness over such a positively and richly lived life. I understood last time we spoke that Thorvald felt that way. 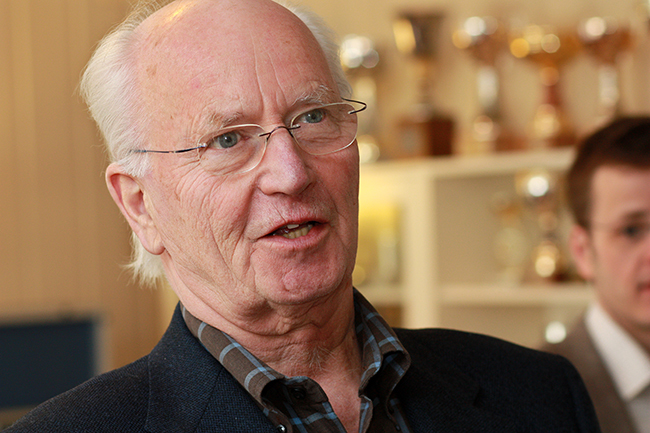 ‘Gro, I am 87 and have had an eventful and fantastic life.’ He would have wanted us to remember him this way,” Brundtland told VG.